This year has been monumental in pulling together several interesting pieces in the human evolution out of Africa puzzle (Lazaridis et al., Ruiz-Linares et al., Skoglund et al., Huerta-Sanchez et al., Jeong et al., Pickrell et al., Raghavan et al., Sankararaman et al., etc.). In a study published last week, Fu et al. 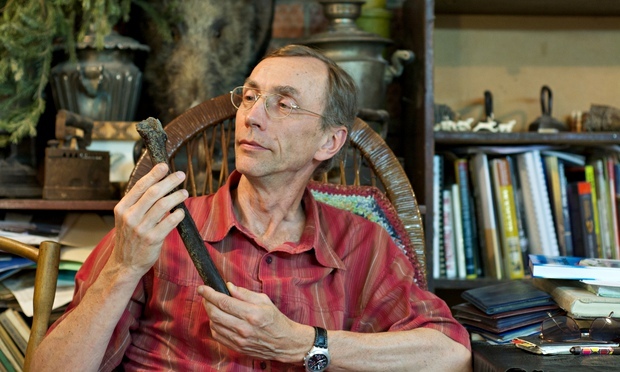 report the whole genome sequencing of a 45,000 year old modern human male from Ust’-Ishim in Western Siberia, which offers several conjectures to preceding studies. Genomic analyses reveal that this individual belonged to a population which (a) was more similar to modern day Eurasians than Africans in genetic diversity, (b) contained ~2.3 ± 0.3% of Neanderthal admixture, on similar scales as modern day Asians and Europeans, (c) contained longer IBD tracts of Neanderthal ancestry as expected (the Ust’-Ishim individual lived around the same time period as previously estimated Neanderthal admixture with modern humans out of Africa, around 50-60k ybp). Perhaps more importantly, this study also estimates autosomal mutation rates using a modified version of PSMC (Li and Durbin, 2011) to be around 0.43 x 10-9 per site per year which is on the lower end of previous studies which use pedigrees, and/or fossil records. “…these rates are slower than those estimated using calibrations based on the fossil record and thus suggest older dates for the splits of modern human and archaic populations. While the estimated autosomal mutation rate is perhaps more characteristic of modern humans that were subjected to the out of Africa bottleneck, this study has important implications for other studies that have continued to use larger mutation rates, including those cited above. This entry was posted in genomics, mutation, Paleogenomics, population genetics and tagged genomics, Homo sapiens, NGS. Bookmark the permalink.